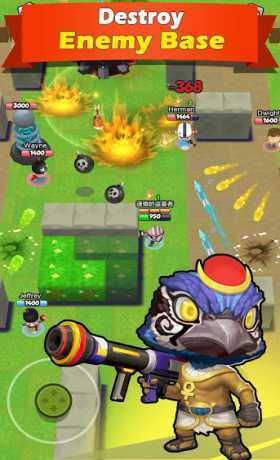 Wild Clash is your lite MOBA shooting game on the go. Intense 3 minute brawls, awesome PvP battles with real players worldwide! Whether you’re a master of MOBA gaming or a total newbie, Wild Clash will grab you from your first battle! 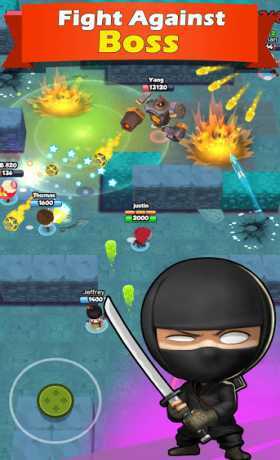 * 3v3 team up, destroy enemy base! * 3v3 team up, conquer target and grab diamonds! * 10 gamers shoot each other, survive to the last one! * 3v3 team up, grab diamonds in dungeon! * A variety of hero skills: Shot, Throw Grenades, Whirlwind Assault, Medical Guards, Invisible Mines, Lands Missiles, Bulletproof Shield, Thunder Shock, Laser Sniper … find your favorite. * Hiding in the bush, attack the enemy, is an effective tactic! 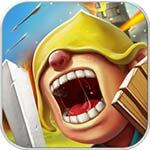 * Collect coins and chips, upgrade and unlock your heroes. * Join a guild, share experience and battle together with other gamers. 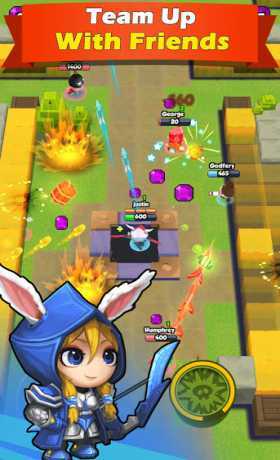 * Gain victory stars and climb to top of the leaderboards, prove you’re the real clash master! Invite friends and brawl together! Shoot ’em up, blow ’em up, punch ’em out and win the victory stars! Good internet is required to play this game. Any problem? Interact with us!